Clogging is an American folk dance that is similar to tap dancing. Clogging is done to almost any kind of upbeat music. Country and traditional bluegrass music are the most popular types of music for clogging. The activity is a great form of exercise, so come out and try this form of dance. Line Dancing is a relaxed and fun form of country and western dancing, and you don’t need a partner. Also, it is excellent exercise for both body and mind. Just one stipulation – you MUST enjoy music (The group dances to various music types, not just country)! Join in or just drop by to enjoy the music. Due to high popularity, this class is now full. Steps are simple and don’t involve dancing with a partner. Basic line dance focuses on movement of the legs and feet with more advanced dances including the arms and hands. Come join in for some fun and exercise. Tai Chi, a mind-body exercise, is gentle flowing and low impact. This 11 week class will practice breathing and meditation techniques and a twelve form Tai Chi routine. Many benefits include, increased muscle strength and bone density, lower blood pressure, improved balance, coordination and flexibility, reduced pain and stiffness, increased immunity, stress reduction and mental peace. Join Jeannie Williamson as she leads you through an hour of Zumba! Zumba involves dance and aerobic elements. Zumba uses a mix of Latin and International music to create a dynamic, exciting, fun and effective cardio workout! This class is designed to utilize an interval training format, combining various rhythms with movements. ZUMBA® is for all people, ages and fitness levels! Fee: $8.00/class or purchase a session pass – please see instructor for details. This is a group exercise class focusing on individuals with osteoarthritis. The class is offered in a partnership between Alberta Health Services and Nord-Bridge. The instructor TJ Dunn is a Kinesiologist with Alberta Health Services. TJ will teach participants various strengthening and “range of movement” exercises. Along with the exercises, an education component will be taught to help participants manage their chronic condition. 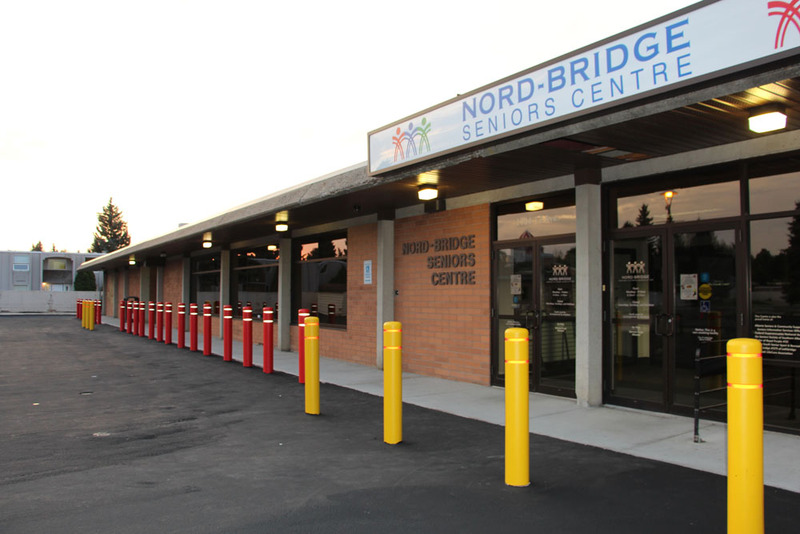 As a partnership between Nord-Bridge Senior Centre and Alberta Health Services, this group exercise class will involve a variety of movements intended to stimulate the mind & body by using a combination of tools, including fitballs, tennis balls and bodyweight resistance. Build confidence in your strength & balance while you challenge yourself within your individual level of fitness & coordination. These three classes are a combination of the Adapted Aerobics class (toning, conditioning, increased agility and balance) and Strengthen and Flexibility led by Melanie Hillaby. Please see below for the fee for each class. This class is for Members Only with no drop-ins. $25.00 is for each Tuesday morning, afternoon or Thursday morning class. For example, for those who wish to register for both Tuesday morning and Thursday morning combo Keep Fit classes, the cost will be $50.00 to register in each class. Somatics is a complement to any activity you participate in and helps improve your daily functional movements. As you explore the movements of Somatics you are connecting the body and mind through movement and meditation. As we bring awareness to our bodies (Soma’s) we can then help relieve pain, recover from injury, reduce stress and maximize flexibility. These exercises do not just address the body’s movement gateways as we walk and breath, but how we carry our stress and tension that leads into chronic neck, shoulders, hips and low back pain. We as individuals view ourselves from the inside looking out otherwise the distinction between mind and body disappears. “We are our own best healers”. Somatics is great for MS, Stroke recovery, chronic pain, migraines and much more. Note: Somatics requires participants to do mat work on the floor. Seated Somatics does everything on a chair for those who are not able to get up off the floor. Gentle Yoga Offers an opportunity for students to strengthen the body and mind connection. The instructor will explore aging, anatomy, meditation, breathing and relaxation. Vinyasa yoga focuses on guiding the movements through the breath. Slow gentle movements are done in a non-intimidating, friendly manner and modifications are always offered by the instructor. Participants are asked to wear loose clothing & bring a yoga mat. Stability Yoga class focuses on increasing the strength of the ‘core’ muscle group. Core muscles are the abdominals, glutes & upper legs. They are the key to stability, balance, good posture & aid in the reduction of injuries. All classes are beginner to intermediate friendly. Chair Yoga is the term generally used to describe a gentle form of yoga that is practiced sitting in a chair, or standing using a chair for support. 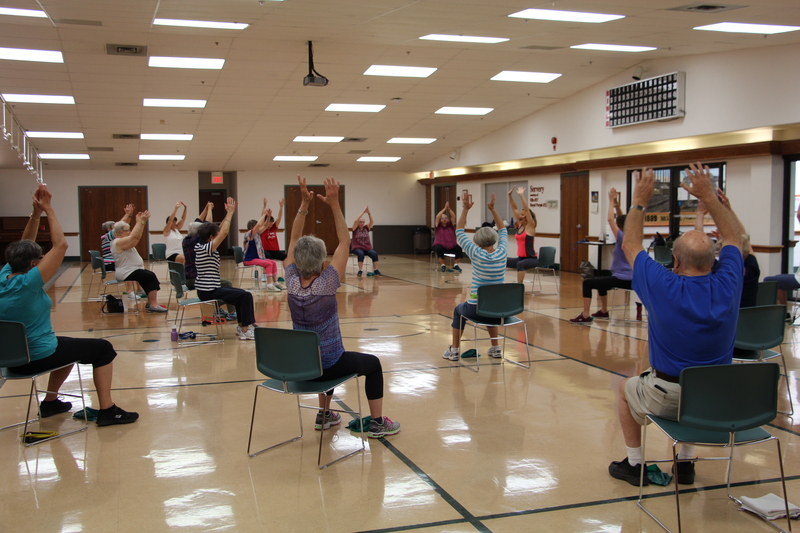 Chair yoga has helped people with the symptoms of many health issues including: Hypertension (high blood pressure), anxiety, chronic fatigue syndrome, arthritis, vertigo (medical), multiple sclerosis, carpal tunnel syndrome, clinical depression, and chronic pain. Chair Yoga is one of the gentlest forms of yoga available. Complicated maneuvers and complex movements are not present in a Chair Yoga class. Within this type of yoga class, you can cover standing, seated, and prone postures. Most of these classes use the chair only, due to the difficulty of getting down or up from the floor. Feeling stressed by life’s unpredictable events? 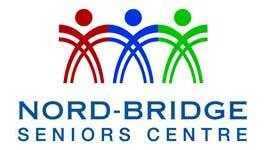 Stress no more in this Guided Meditation with Ashley Kern, Program Coordinator at Nord-Bridge Senior’s Centre! We will be working on progressive relaxation, guided imagery, and mindfulness. Newcomers welcome to join, no experience required. This class will be done seated in a chair for 45 minutes, please wear loose clothing. My hope for the end is to feel rejuvenated, relaxed, and at peace. Sign up at Front Reception Desk, and ask Ashley for more information. This energizing workout combines cardio, conditioning, and strength training with Yoga and Pilates-inspired movements on a chair. POUND® 55+, uses 1/4lb drumsticks engineered specially for exercising. This drumming exercise works the shoulders, biceps, triceps, forearms and back. You will increase your rhythm, timing, coordination, speed, agility, and endurance. This work out is easily modifiable and appeals to all age and abilities. *Limited space available, please register for classes starting December 19th at 9 am.